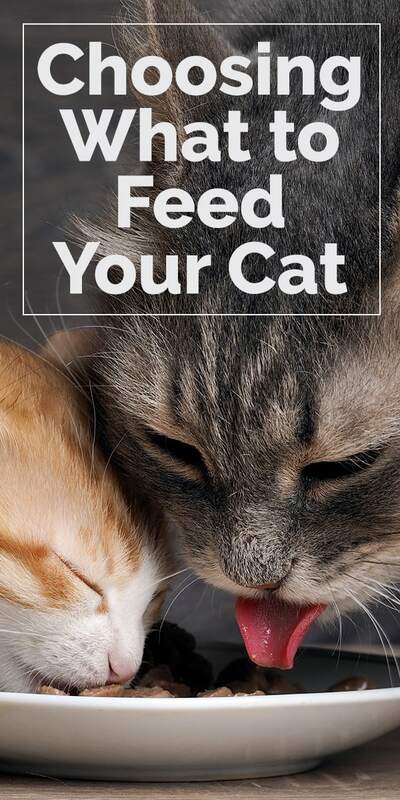 Choosing what you’ll feed your cat is no easy task. There are millions of types, billions of options, tons of brands, and every cat has a different idea of what they consider to be a tasty meal. Today, we’re going to look at what constitutes a healthy, balanced diet and how to navigate the many different types of food available for your furriest friend. When selecting a cat food, be sure you identify the seller and their reputation. 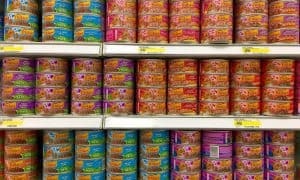 Cat food recalls are the norm rather than the exception and you want to make sure the food you purchase is safe. Check the FDA for any recalled lot numbers and be sure you check the expiration dates on cans. 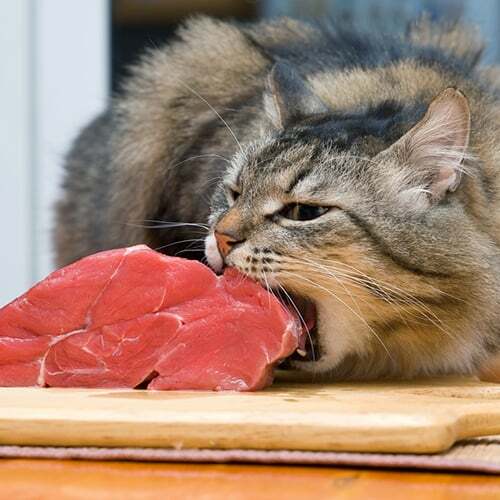 In the past, experts believed wet cat food contributed to cat’s dental problems. Today, however, research has proven that is a myth, and that cats get the majority of their water intake from moisture in food, making wet food an important part of your cat’s diet. 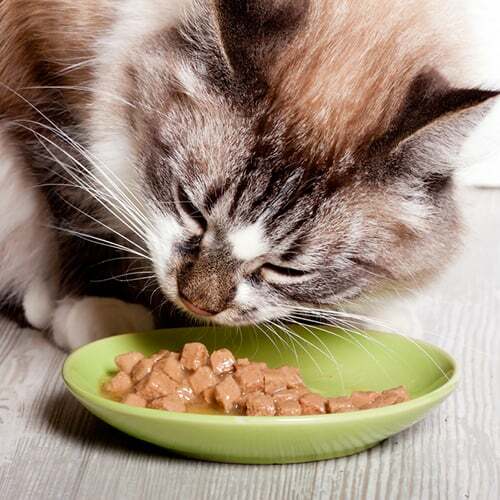 Wet food comes in a wide variety of flavors that will appeal to the most finicky feline, and the high moisture content is beneficial to the long-term health of your cat. 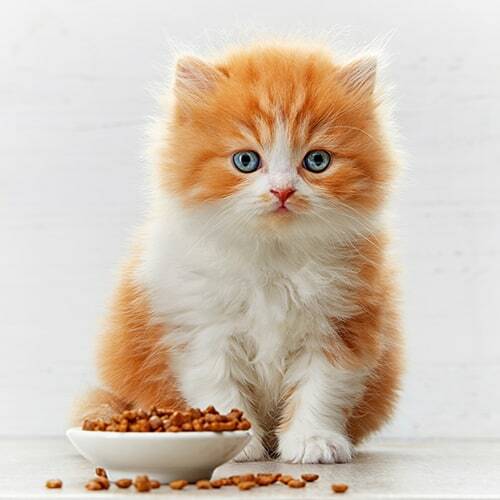 Most cats eat dry food as the bulk of their diet. Be sure you shop for a high-quality dry food. 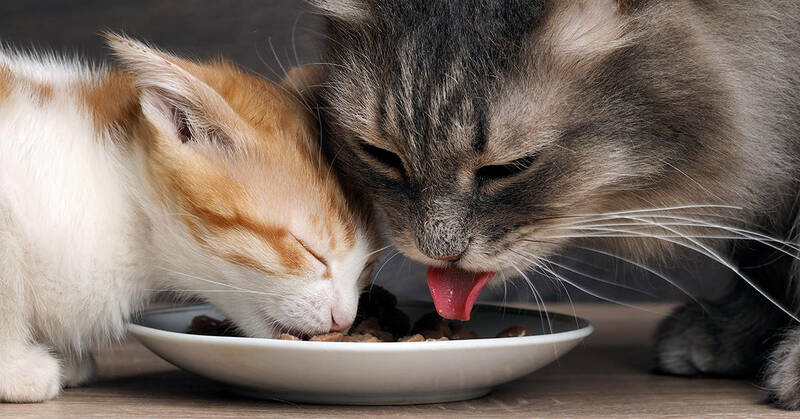 Many low-quality kibbles can be full of fillers and carbs – ingredients that cats don’t need! These contribute to health issues and weight problems. Look for food that has meat as the first ingredient. While higher quality foods tend to be more expensive, the cost will be offset by long-term lower veterinary costs. The cooking process can strip out much of a food’s natural vitamins, minerals, and other benefits. That means your cat may not be getting the most nutritional benefits from her traditional wet or dry food. 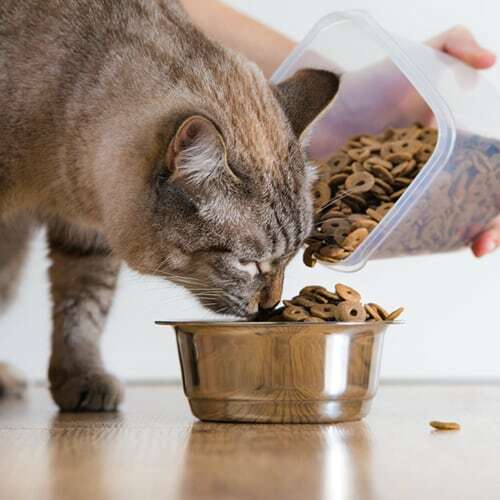 For this reason, many cat parents are turning to raw diets for their pets and seeing wonderful benefits – like improved digestion, dental health, and healthier skin and coat. There are many varieties of specialty and prescription cat foods available for dozens of conditions. 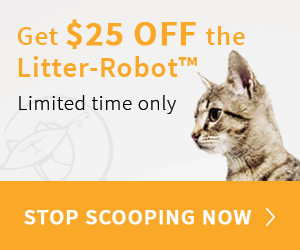 Weight loss formulations are some of the more common specialty foods for cats. 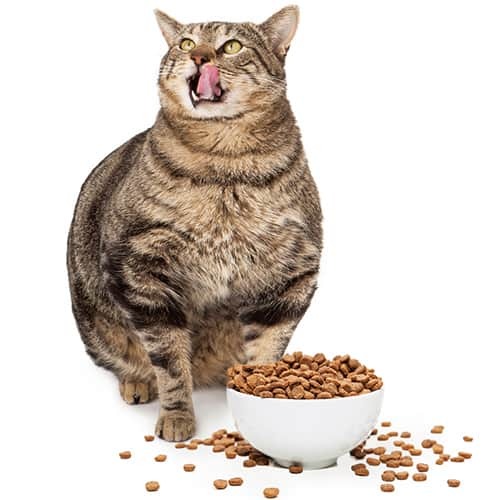 Since we’ve domesticated them, cats are less active than they would be in the wild, so food has been developed with lower calories to help our cats lose weight. Another common issue that food is formulated to help is urinary health. Be sure to talk to your veterinarian before feeding any specialty or prescription diet to your cat. Age matters when it comes to cats. Feeding an age-appropriate diet will help deter problems with weight later in life. 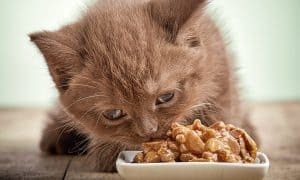 Kitten food has a higher fat and calorie content to help your kitten grow, while senior and adult foods have lower calorie counts to make sure your cat doesn’t gain weight.